← Jack is Cooking Stickers!!! Jack is Cooking Stickers pt 2!!! So there has been some more sticker action! 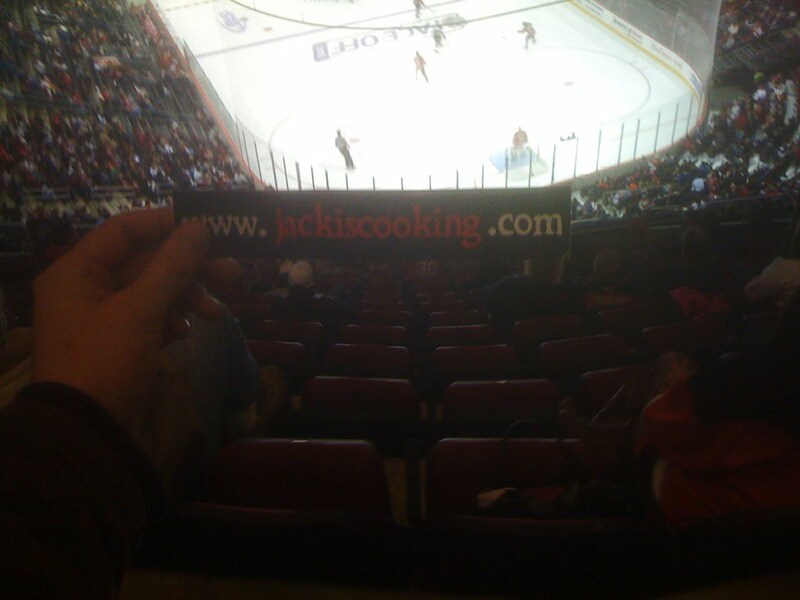 This time my friend peter went to a Hockey game, and he took a sticker with him! Heres the picture from that! Man that ice is bright! Now i just have to find somebody who’s got tickets to see the Yankees in the World Series! that would be awesome to have a sticker there! Send me some, Jack, and I will be your Canadian advertiser!